One of Belfast’s gems, the Culloden Estate & Spa is a glorious country house hotel overlooking the city. With a variety of private rooms and event spaces available for hire individually or as a whole and 12 acres of gardens, it’s ideal for weddings or private special events. 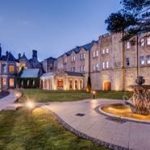 Of course there are also 98 bedrooms, so guests can either stay or return to the city. A range of wedding packages are also available. True to form, Malmaison has picked a cracker of a venue for its fabulous city centre hotel. 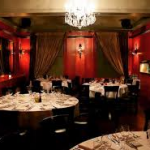 Dating back to the 1800s, the listed building offers two private dining rooms: Mal One for parties of up to 40 seated (45 for standing receptions) or Chateau Mal Room for more intimate gatherings of up to 10 guests. Menus start at £35 per person and with 62 Titanic-inspired rooms and a Mal Bar, there’s plenty of opportunity for extending events late into and overnight. With multiple venues around the city, Michael Deane is one of the Belfast’s culinary heroes. Four of his restaurants boast private rooms: Deanes for 15 to 50 guests or 100 as an exclusive hire in the dining room; at Deli Vin Café for up to 30 seated or 50 standing; at Queens there are two rooms which can be used for smaller parties or together for 40 guests seated (70 standing); and at Deane and Decano the Italian-style bar and restaurant can set up to 60 guests. Tasting menus cost £45 and £70. The Cave Wine Bar at the Michelin-starred Ox is available for private events and can host up to 50 for receptions with canapés and cold plates or 18 for a full seated dinner. The modern Irish menus focus on showcasing seasonal local produce and four or six course tasting menus are available for £40 or £60 respectively, with wine pairings also available on request. 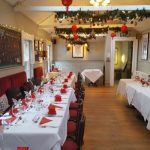 Upstairs at Balloo House is a great party venue for up to 50 guests, often used for birthday parties and other personal celebrations. The award-winning head chef offers menus from buffet style from £13.95 per person to tailor-made private dining menus for around £27.95-£35. The room also boasts its own private bar and balcony and offers wedding reception packages from £30 per person including flowers and personalised menu cards. 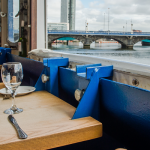 This unique 35-seater restaurant situated on a barge is moored by the waterfront theatre in the city centre, and provides a great venue for private events as an exclusive hire. 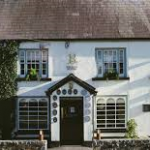 Showcasing fabulous Irish produce, lunch mains cost from £10-14, dinner from £15-24 per person. Top tip: the venue has a marriage license, so it’s great for smaller weddings. The amalgamation of two of Belfast’s best-known restaurants, this new award-winning combo is proving a real winner. 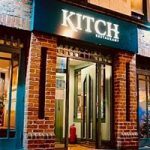 Featuring a stunning charcoal grill and fine dining cuisine the menu offers top Northern Irish cuisine and produce. Two private rooms are offered, able to host up to 40 guests. The three-course private dining menu costs £30 per person. Top Tip: Book on a Thursday and enjoy their fabulous fruit de mer platters. This relaxed and buzzing converted Victorian stables and courtyard can cater for wedding and event parties from 10 – 40 guests. 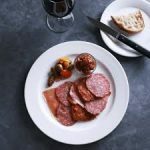 Menus use local, seasonal and organic ingredients where possible and are based on a £5-£10-£5 format, although bespoke menus can be created in collaboration with the chef. 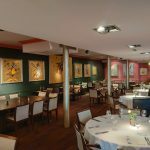 This award-winning funky restaurant offers a flexible space for exclusive hire for events from 70 up to 100 guests and can also arrange DJ or presentation space on request. 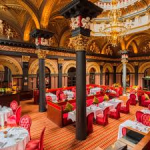 The modern European menu (with occasional Asian influences) can be offered as two or three courses and starts at £18 or £21 per person respectively. A three course, three choice menu can be offered on the night. Room hire or minimum spend may be required depending on time and date of event. With seven private rooms and a roof terrace available for private hire, the relatively newly built Merchant Hotel (2010) offers state-of-the-art facilities for events from 16 to 200 guests – whether it be a conference, private dinner or wedding. The stunningly decorated roof garden can also host up to 70 guests. 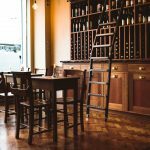 This acclaimed Belfast restaurant offers exclusive hire of restaurant for weddings and birthday parties up to 100 guests. Set menus are provided which include all charges, so there’s no additional room hire costs. The menu offers a range of styles from Mediterranean, to Asian and Irish comfort food all using fresh locally sourced ingredients. Menu costs vary depending on time and date of event and number of courses required. Top tip: Small plate buffets can also be arranged on request.